© Eberhard Riedel, "Loss and Trauma - Eastern Congo, 2011." 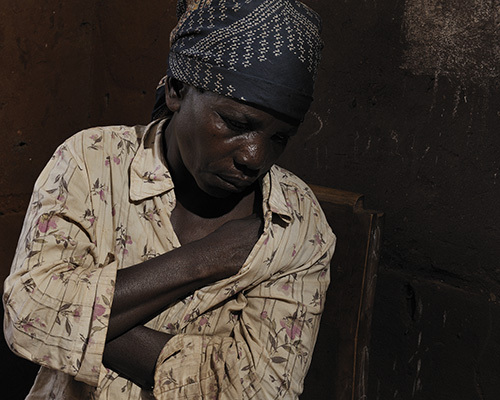 This woman's husband died when more than six hundred men were herded together and burned to death by Rwandan insurgents during one of numerous massacres in Eastern Congo. At other locations militia criminals buried scores of women alive in mass graves.